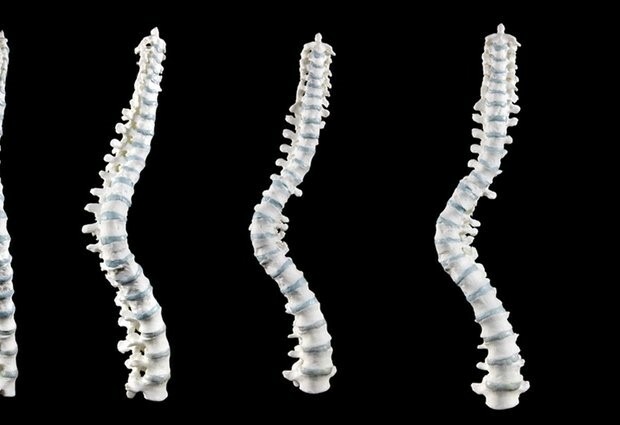 3D printing has done quite a bit to make scoliosis treatment less agonizing for even severe cases. Here is an over view of how 3D Printing is a complete package in diagnosing, treatment and rehabilitation for scoliosis patients. Recognition of complex anatomical structures in scoliosis can sometimes be difficult to attain from simple 2D radio-graphic views. 3D models of patients’ anatomy facilitate this task and allow doctors to familiarize themselves with a specific patient. This approach proved to reduce drastically OT time, especially in complex scoliosis cases. Getting to know patients’ anatomy before entering an OT allows to plan the exact approach, helps to predict bottlenecks and even test procedures beforehand. Fig: Scoliosis Pre operative model to be 3D Printed. No standard models nor 2D images can replace 3D printing as the first do not represent the specific case in debate and the latter may hide important details, especially in the spatial relationship between structures. 3D prints may be as well used by a doctor to explain to a patient his or her condition. Offering a patient possibility to understand his case and procedure may be reassuring and produce better treatment outcome by reducing stress and insecurity. Another recent advancement in the 3D Printing applications for spine surgeries are the 3D-printed Patient specific pedicle screw guides, realized in a customized manner with 3D printers. Their aim is to orient and guide in a precise fashion the placement of the screw in the pedicle. In complex scoliosis cases and revision surgeries it is very difficult to find the pedicle and the entry point for the screw guides. 3D Printing addresses this challenge and proves to be accurate, this level of accuracy is absolutely useful for patients with scoliosis, whose common anatomical landmarks can be in an abnormal position or might be not easily recognizable. Fig: Patient specific 3D printed guides. The guides involve surgical planning and software assisting surgical placement of pedicle screws designed specifically for a patients' unique anatomy. It is essentially a 3D printed surgical tool that fits the patient's unique anatomy. The 3D Printed surgical guides are printed in SLS and are bio compatible to be used on the patient's body. It is easy to see how these new customizable tools can greatly improve Scoliosis Surgery outcomes. 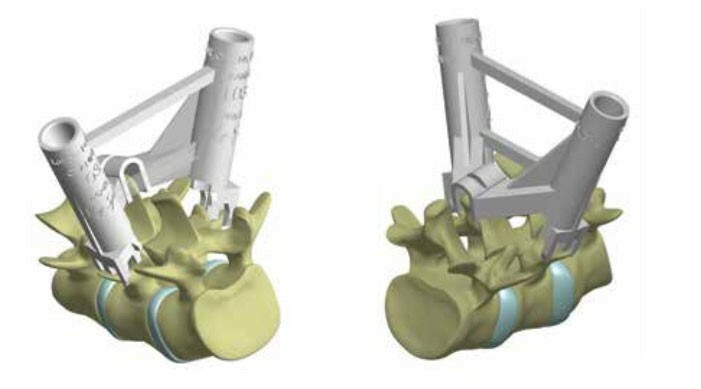 These enhanced tools promise to improve patient satisfaction and physician performance, using the tailor-made patient-specific guides for the spine vertebrae utilizing proprietary CT scan algorithms and sophisticated 3-D medical printing technology. 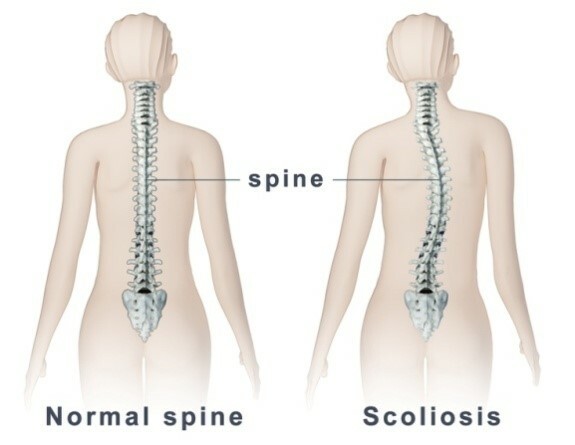 Moderately severe scoliosis (30-45 degrees) in a child who is still growing may require bracing. 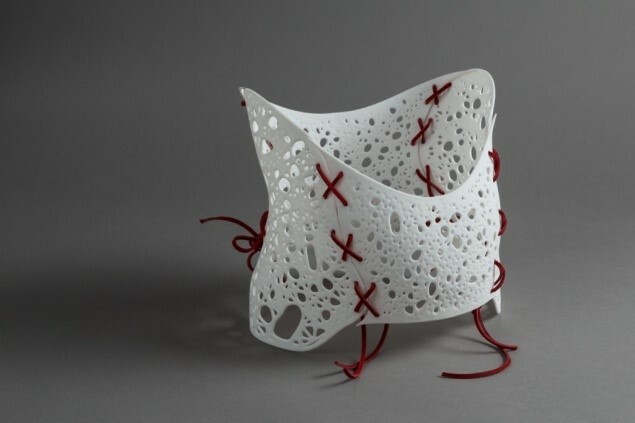 The main goal of 3D Printed scoliosis brace is to combine fashion, design, and technology to create a brace far more appealing to patients, and, as a result, far more effective medically. Fig: 3D Printed scoliosis Brace. The 3D Printed patient specific brace represents a meaningful innovation in scoliosis treatment. Using advanced 3D scanning and printing technology, the Scoliosis Brace addresses the most common objections to traditional bracing. The 3D Printed braces are usually printed in SLS (Selective Laser Sintering) for its strength durability and aesthetic features along with bio compatibility.  This is what happens when Design innovation meets Medical Innovation. To conclude the use of three dimensional printing in scoliosis surgeries has a wide range of applications from pre operative models to patient specific guides and orthotics proving to be a complete package in aiding Scoliosis surgeries and treatment. yes @Els Currently there are only two companies as of my knowledge who provide these 3D Printed braces, 3DSystems and UNYQ but the demand and use of these braces is increasing with rapid globalization of 3D Printing and patient specific orthotics being designed and innovated with a combination of fashion and medical applications.